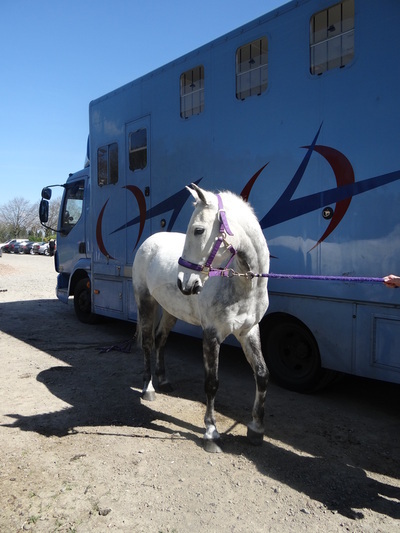 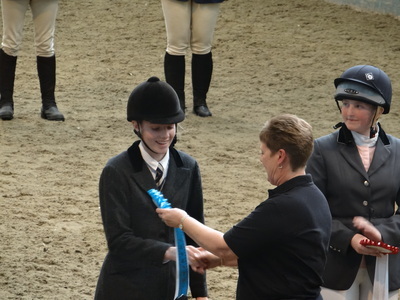 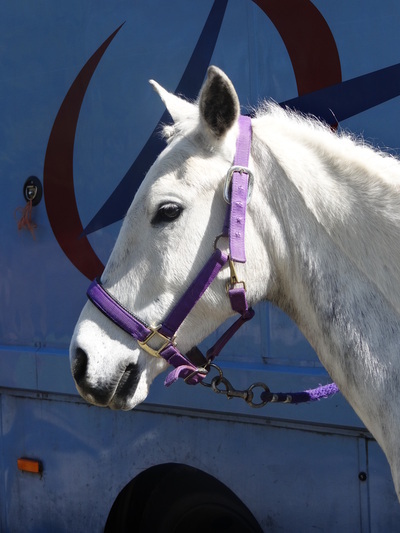 Victory for The Arundel Riding Centre Team at The British Horse Society National Riding School Championships. 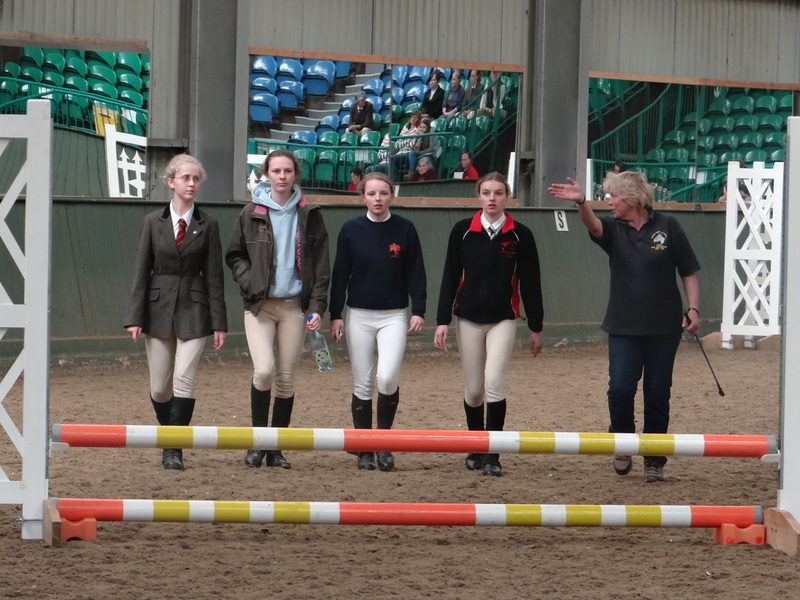 The Arundel Riding Centre took eight riders (Hannah Stuart, Rebecca Stone, Charlotte Beadle, Maisie Hobbs, Polly Hobbs, Emily Chalfont, Megan Fletcher and Janet Boulton) and four horses (Charlie, Tatty, Flyer and Bobby) to Warwickshire College, Warwickshire to participate in this annual event. 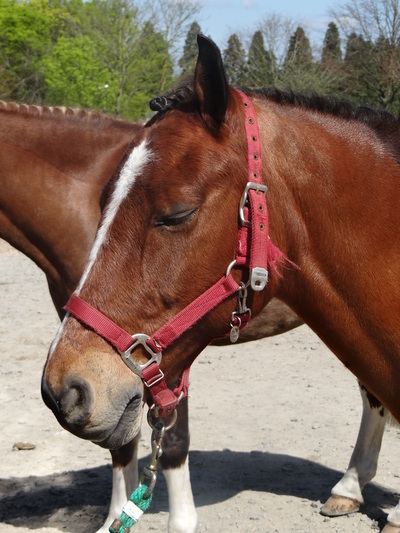 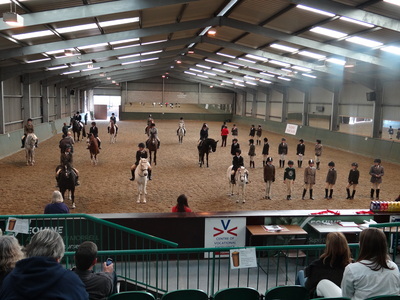 The event is unique as it is for riding school riders mounted on riding school ponies. 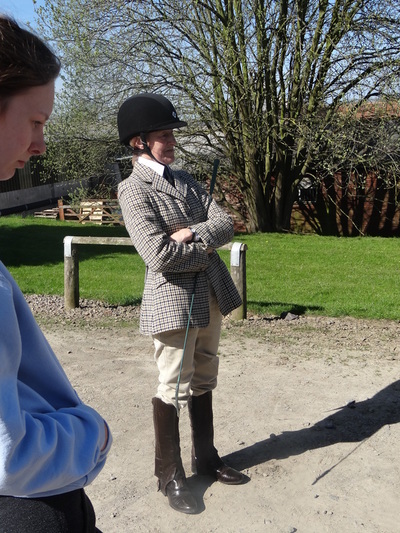 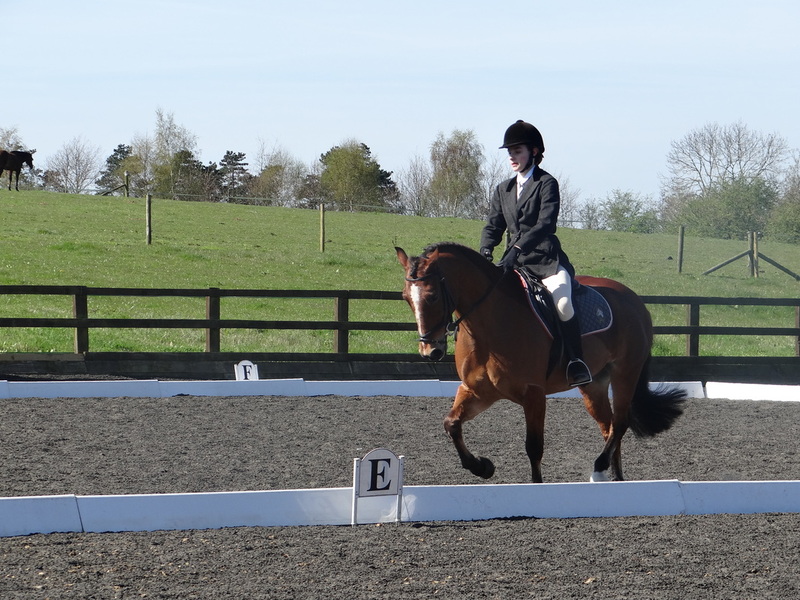 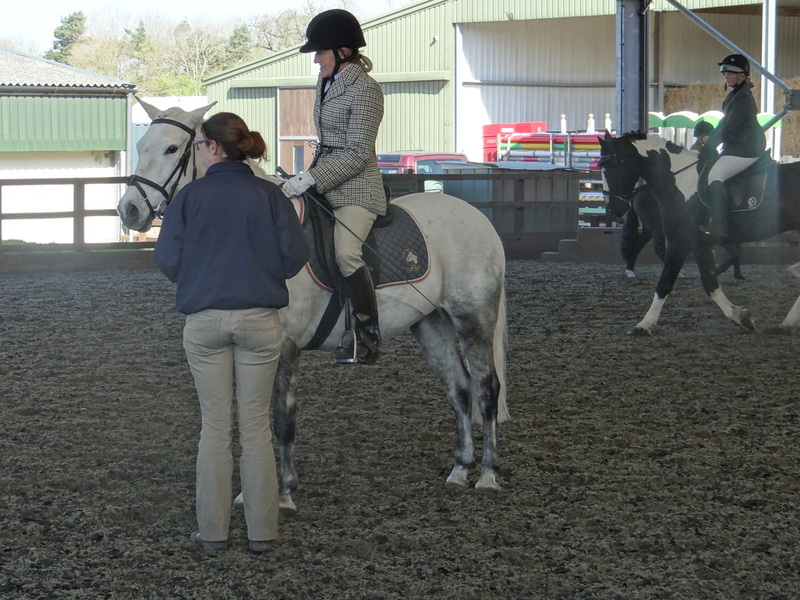 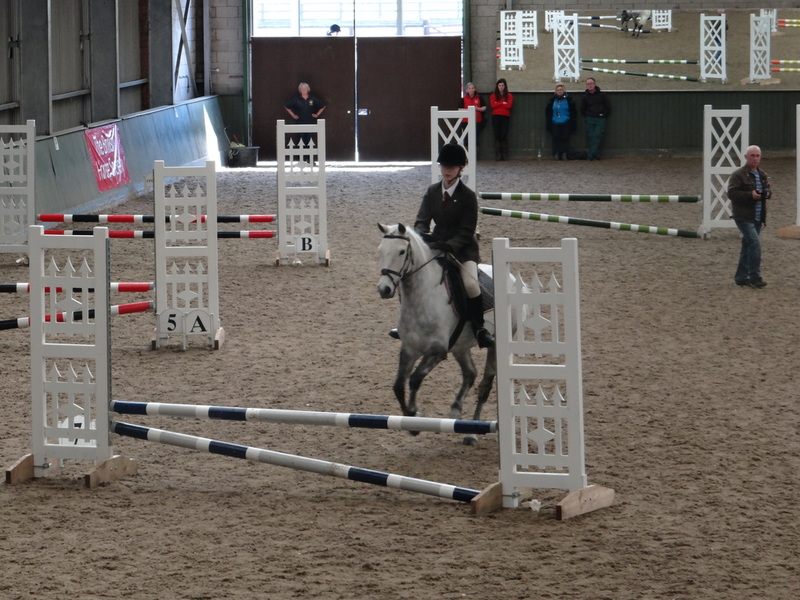 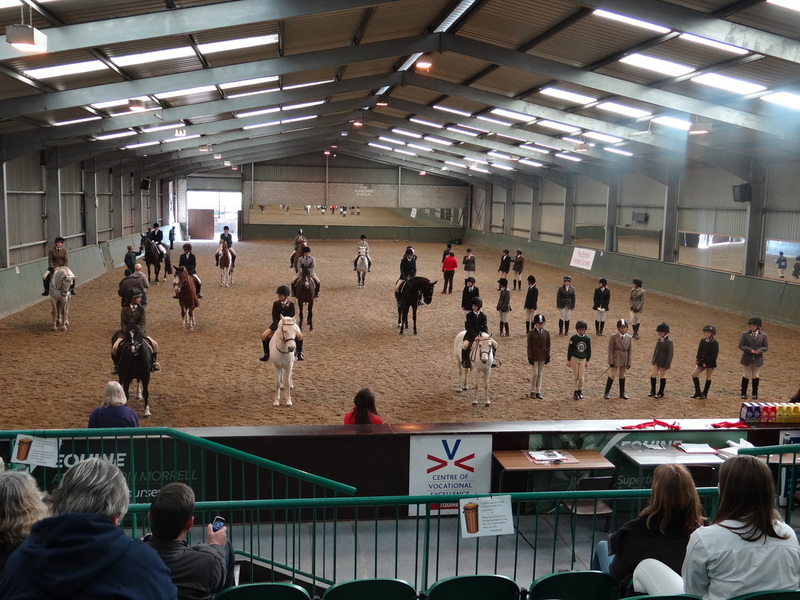 Each rider must compete in the three disciplines - dressage, show jumping and theory, The team was delighted to win the team trophy against some strong competition from BHS riding schools across the country. 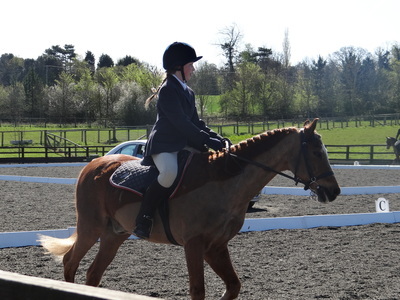 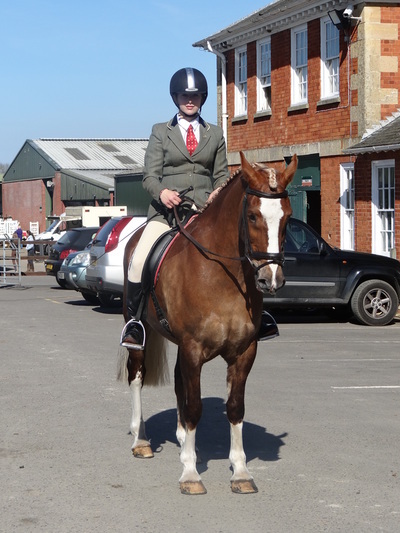 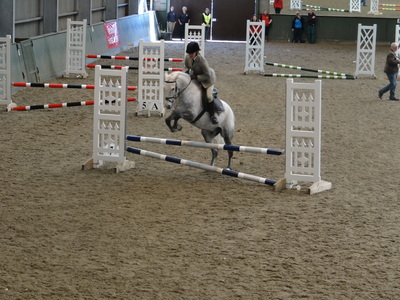 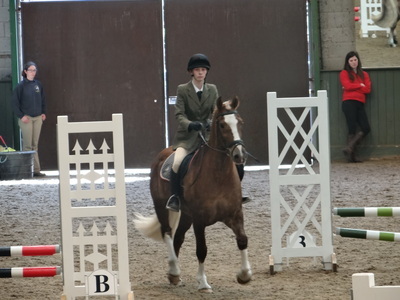 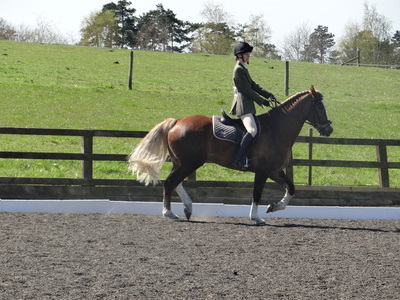 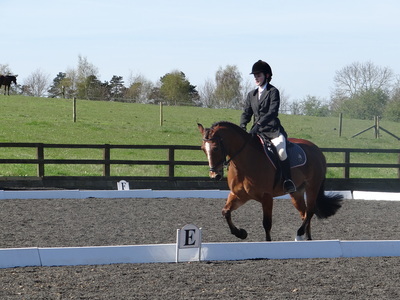 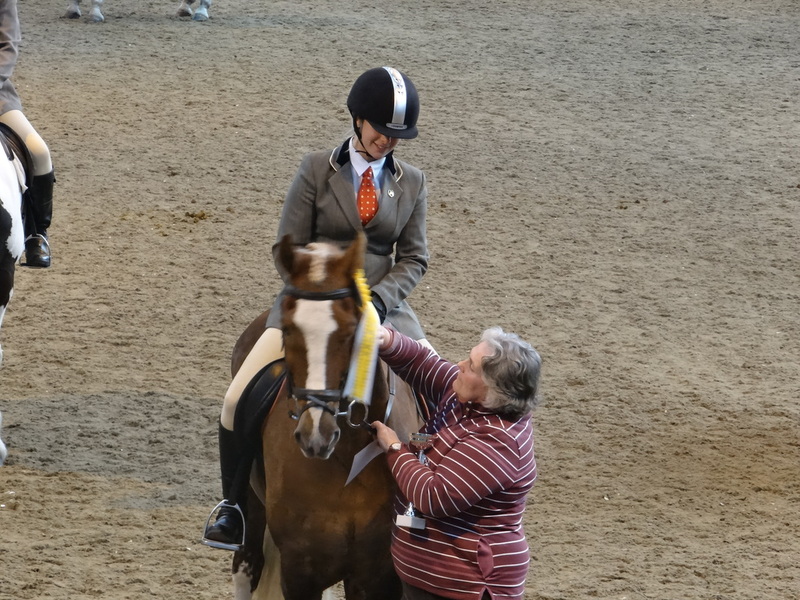 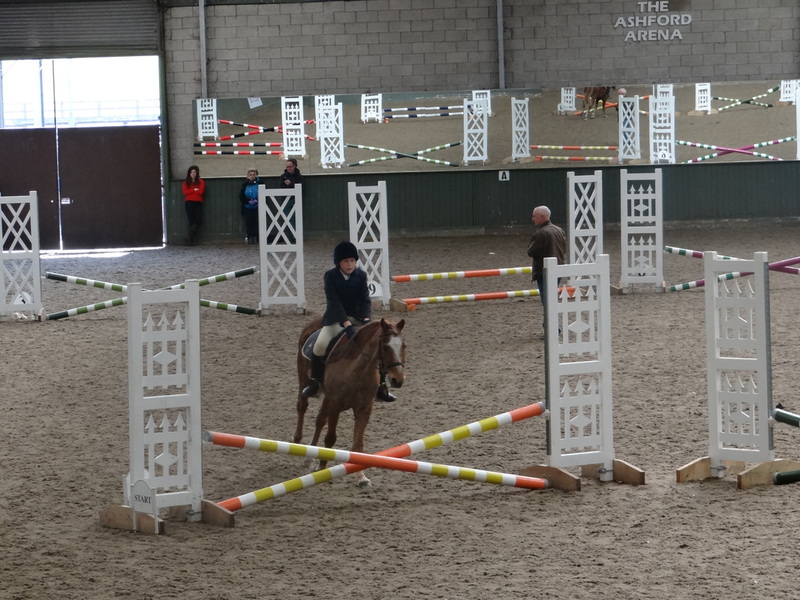 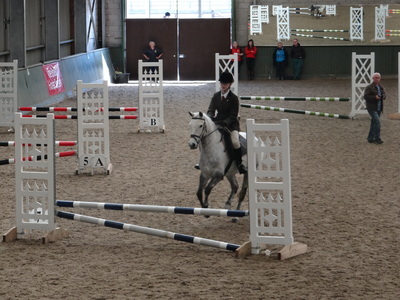 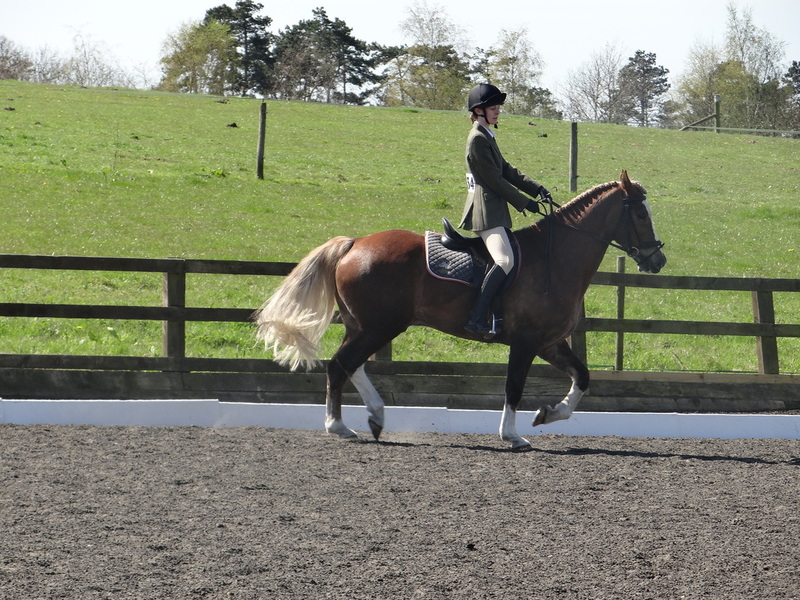 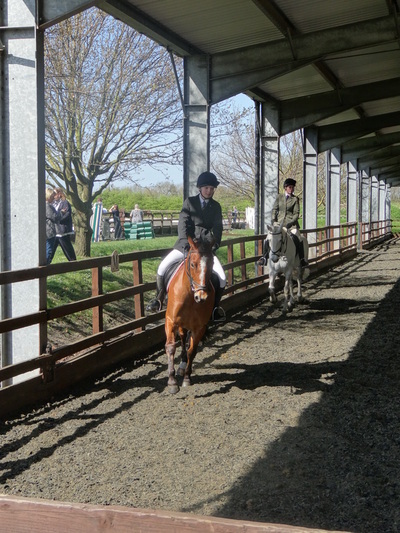 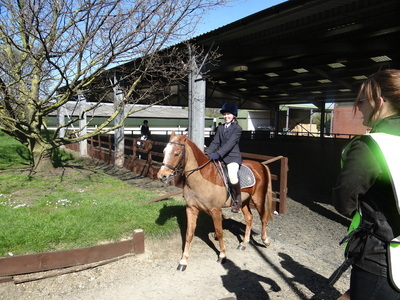 Megan Fletcher on Flyer (11 year old 15.2h welsh chestnut) achieved third place in the 18 years and over category. 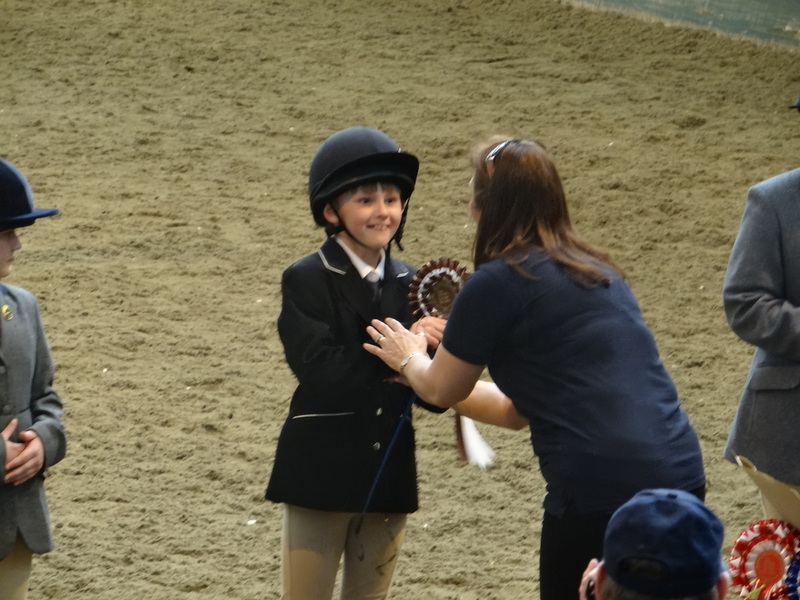 This builds on Megan's successes in previous years in the junior age groups. 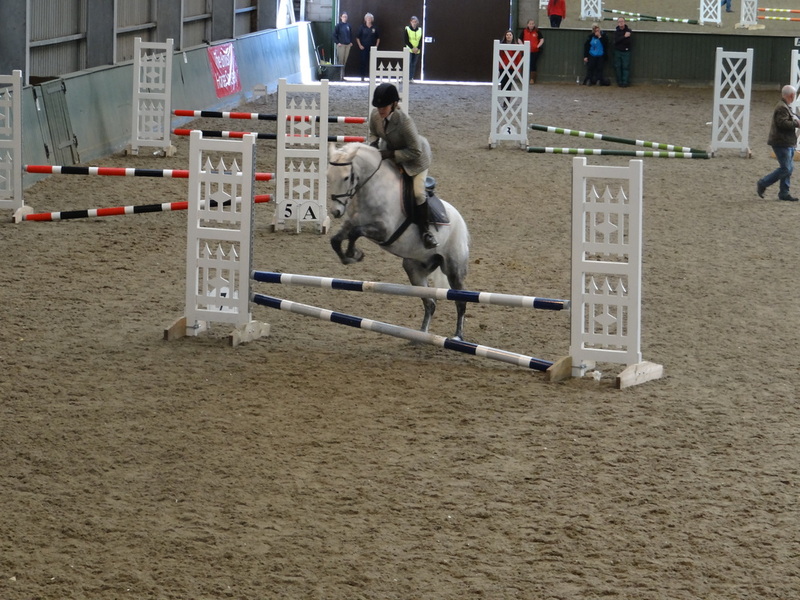 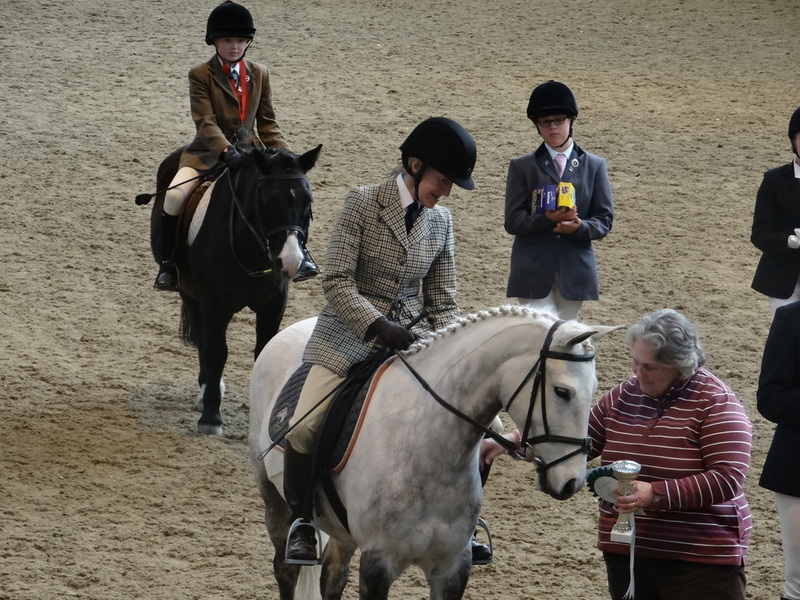 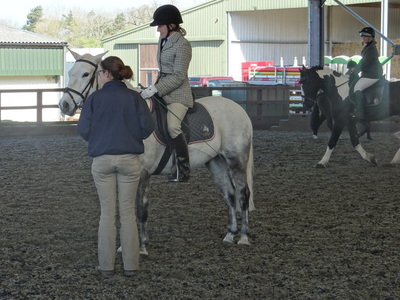 Janet on Charlie (13.2h, grey, 8 year old New Forest) came fourth.Arundel was ably represented in the 13 - 17 Years age category Polly on Bobby (15 year old 13.2h Welsh bay) was placed fifth, Maisie on Bobby was placed seventh, Charlotte on Charlie and Emily on Flyer also competed in this class. 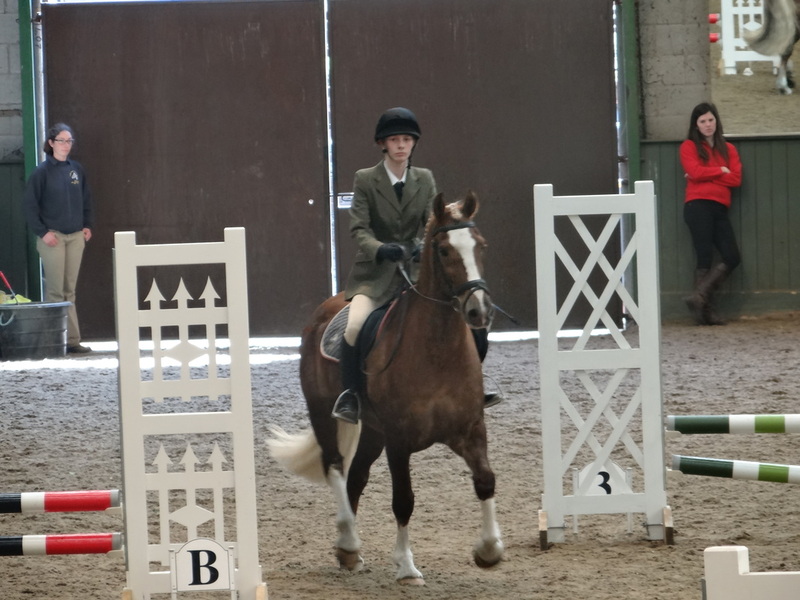 In the youngest age group - 12 years and under Hannah and Tatty (26 year old 15 h Welsh chestnut) came ninth and Rebecca competed on Tatty. 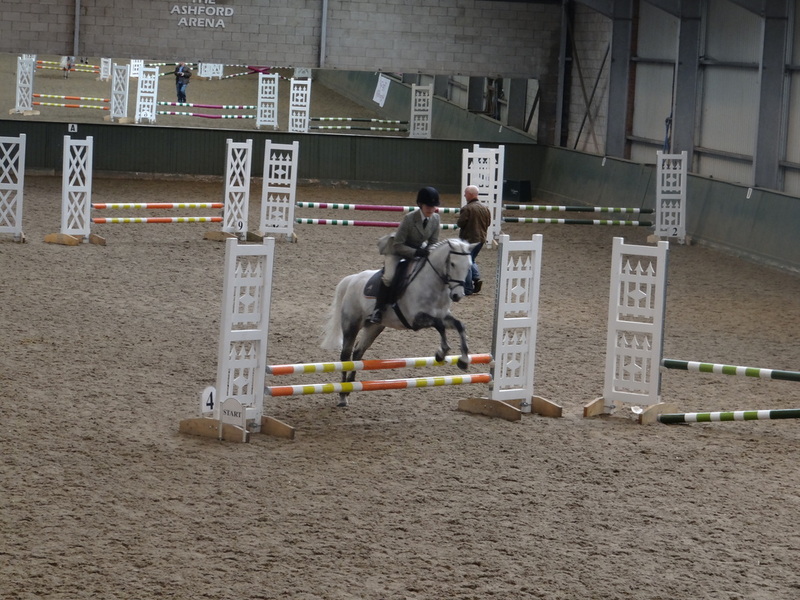 Charlie makes it look easy !